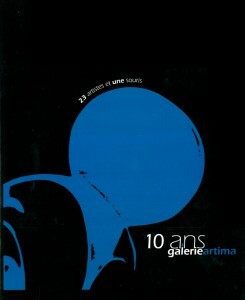 My work has been shown in Paris for more than fifteen years. 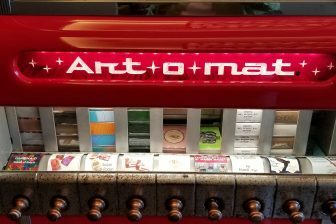 For the last ten, my 3d pop art has been represented throughout France by Olivier and Nicolas Waltman, owners of the prestigious Paris Art Gallery called Galerie Artima . I wanted to congratulate them personally on their tenth anniversary and to encourage you, if you’re ever in Paris, to stop by and see them. I am proud to have them representing me and my work and over the course of ten years, they have expanded the Fazzino reach into more than twenty major cities throughout the country. 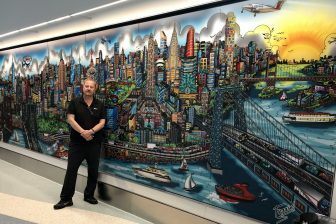 Their passion for artwork is endless and their dedication to their customers is exemplary. 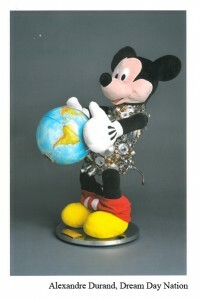 To celebrate, Galerie Artima recently opened a special exhibition….interpretations of Mickey Mouse by all of the artists they represent. I received the show catalog in the mail yesterday and was absolutely stunned. What a fabulous concept! One of the most popular icons of all time, Mickey has proved to be a very compelling subject for artists of all types, genres, and nationalities. 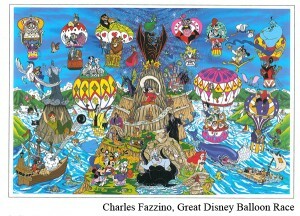 The Waltmans’ collection has only served to punctuate the place that Mickey Mouse has taken in our collective consciousness. I thought I would share some of the pieces with you here. 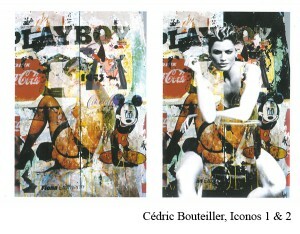 Cedric Bouteiller’s provocative and abstract interpretation left me a little perplexed. It’s so interesting, but I’m not really sure what the message is….perhaps Cedric isn’t sure either? On the other hand, the message in Alexandre Durand’s “Day Dream Nation” is ABSOLUTELY clear. Something tells me there’s a little resentment there? 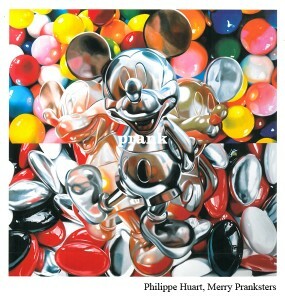 And finally, Philippe Huart’s “Merry Pranksters” is just fun…makes me think of Jeff Koons. There are twenty artists participating in this exhibition, and it’s on display now at Galerie Artima. Take a closer look if you’re in the area or email them for more information at info@galerieartima.com.